SAN JUAN, Puerto Rico (CNS) — The gist of a Catholic archbishop’s opinion, rendered in a guest commentary in a national magazine back in July, is today the basis of a U.S. Supreme Court case that has drawn local and international attention. “Puerto Rico’s debt comes from a combination of mismanagement, bad luck and its unique colonial status as neither a sovereign country nor a U.S. state,” wrote Archbishop Roberto Gonzalez Nieves of San Juan in Time magazine’s “Ideas” section, which “hosts the world’s leading voices,” according to the publication. Archbishop Gonzalez’s political reference was given within the context of the larger issue of Puerto Rico’s $72 billion debt. Now his opinion incidentally happens to be the core issue in the U.S. Supreme Court case No. 15-108, Commonwealth of Puerto Rico v. Luis M. Sanchez del Valle, et al., a case about gun charges that raises questions about Puerto Rico’s sovereignty. Del Valle was charged in Puerto Rico with crimes related to firearms, and a U.S. federal court tried and convicted him for similar crimes. His lawyers said he then could not be tried for the same crimes in a Puerto Rican court. They argued it would violate the Fifth Amendment’s double jeopardy clause, which states a person can only be tried once for a single offense. 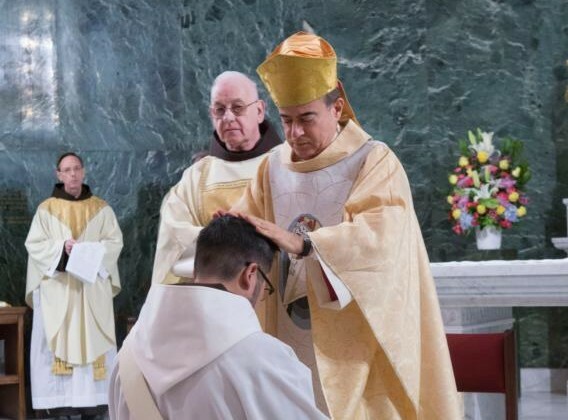 Archbishop Gonzalez’s point became a bombshell Dec. 6, after U.S. Solicitor General Donald B. Verrilli filed an unexpected amicus brief, or friend of the court brief, in the case. The Justice Department’s brief prompted a mixed reaction in Puerto Rico, some of it anger, some disbelief, because it raised a point that contrasts local traditional interpretations of a 1952 accord between Puerto Rico and the U.S., here called Estado Libre Asociado (Free Associated State), known as a “commonwealth” on the mainland. A Compact of Free Association applies to jurisdictions administered under the Trust Territory of the Pacific Islands — Palau, Micronesia and Marshall Islands — after World War II. Puerto Rico is considered “the world’s oldest colony” by the international community. It was discovered by Spain in 1493, held by that country as a colony for 400 years, and then turned over to the U.S. in 1898 as a part of a Spanish-American War settlement. The island received some autonomy in 1947; its constitution was approved by Congress in 1952. For the past 40 years, the U.N. Special Committee on Decolonization has passed 27 resolutions supporting Puerto Rico’s right to self-determination, the most recent approved in June 2009. None of the resolutions has made it to General Assembly voting. For the most part, the local political establishment all along had its own interpretation of the island’s relationship with the U.S., leading to the general notion that Washington has a direct responsibility to help Puerto Rico with its decade-old recession. But some, like Archbishop Gonzalez, have been warning that the island’s recent financial woes are rooted precisely in its political relationship with the U.S.
Deadlocked with lenders over debt payments, Puerto Rico Gov. Alejandro Garcia Padilla announced Dec. 30 that the government was defaulting on roughly half of its $757 million obligations due the next day. “We don’t have the resources. This cannot fall only on Puerto Ricans. Bond holders are beginning to participate in the responsibility,” he said. Archbishop Gonzalez has been criticized by some politicians and media outlets for speaking out defending “the interests of the motherland,” using words considered to have leftist connotations in local moderate and right-wing circles.